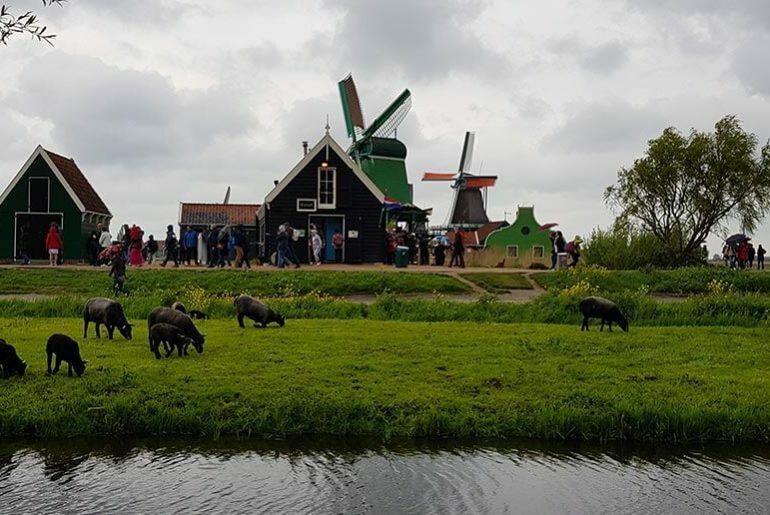 Our next stop was right up North in the town of Zuid-Scharwoude, where our Dutch friends lived and luckily, our first day just happened to be King’s Day. 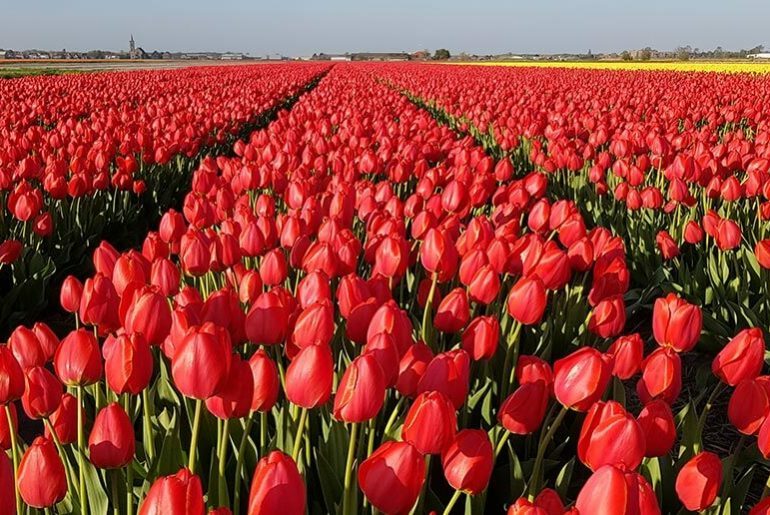 King’s Day is the biggest day of the year in The Netherlands. Every 27 April, the entire country is painted orange and the streets, canals and parks overflow with raucous celebrations. From orange suits to crowns and royal blue velvet capes, everyone was sporting a touch of celebration for Kings Day. We were up early for an hours ride into the Old Town of Alkmaar with Yvonne and Salome. For those that know me, I am really not a fan of bicycle riding, but it is flat, I mean really flat, everywhere you ride. There are bicycle lanes on all the roads and cycle lanes through fields and along canals. In fact, the bicycles seem to have right of way on the roads, so you hardly have to stop. Tai managed to flout every single rule and we all spent our time shouting at him to STAY ON THE RIGHT! The landscape is so picturesque here with neat and tidy little houses, perfect gardens, flowering cherry blossoms and windmills dotting the landscape. I did find the secret to their trimmed lawns though…automated lawn mowers that just keep cruising the lawn until there is no more grass to eat! 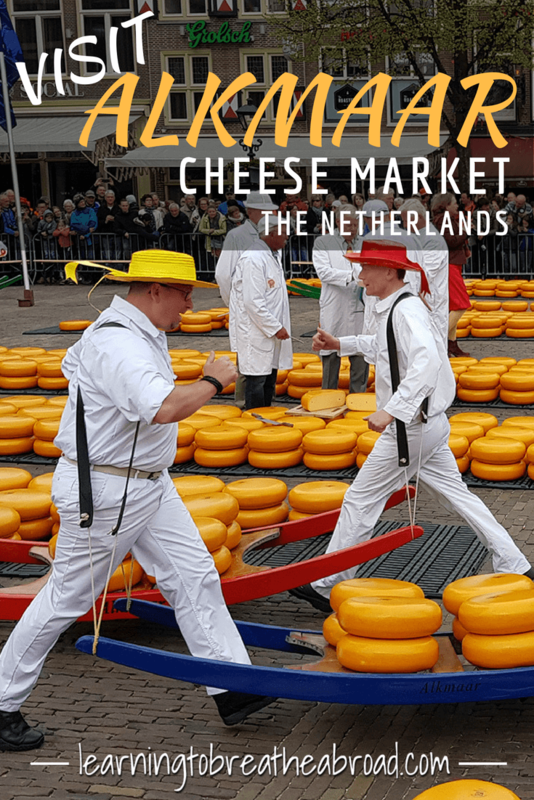 We timed our trip perfectly, as not only was it Kings Day, but it was Friday, so the famous Alkmaar Cheese Market was in full swing on the Waagplein! It was very entertaining watching the cheese carriers hauling cheese around the square and weighing the rounds of cheese on a huge scale. We wandered the streets of the old town while snacking on oliebollen and patats frites. There were a few live bands in the streets which made things very vibey, as well as young kids busking by playing instruments or breakdancing! On the streets outside the old town, people were selling all manner of second-hand items. Clothes, shoes, trinkets, baby goods, toys, books, antiques, you name it. It looked like one never-ending yard sale. On the way home we stopped at the Broeker Veiling Museum in Zuid-Scharwoude, but sadly it was closed. The exterior of the museum is actually an aerial photograph of the area and you can see that there is a myriad of little canals making each plot like a little island on its own. One of the best things about the Netherlands is how late the sun sets – around 10 pm! Pretty much everyone in the Netherlands owns a boat and our Dutch family were no different, so after dinner, Marc took us on a boat cruise around the neighbourhood. It was chilly, but so still and peaceful – except for Tai’s booming voice – lol!! The birdlife was amazing and we even had a swan dancing for us!